Are you planning the ultimate West Coast vacation this year? Before you jump immediately to Hollywood or San Francisco, take a minute to discover some hidden gems perched along the western shore. Whether you’re after relaxation or adventure, this region has more than its fair share of totally underappreciated destinations. The following West Coast spots may not be the talk of your social media feed, but they are guaranteed to make a lasting impression. 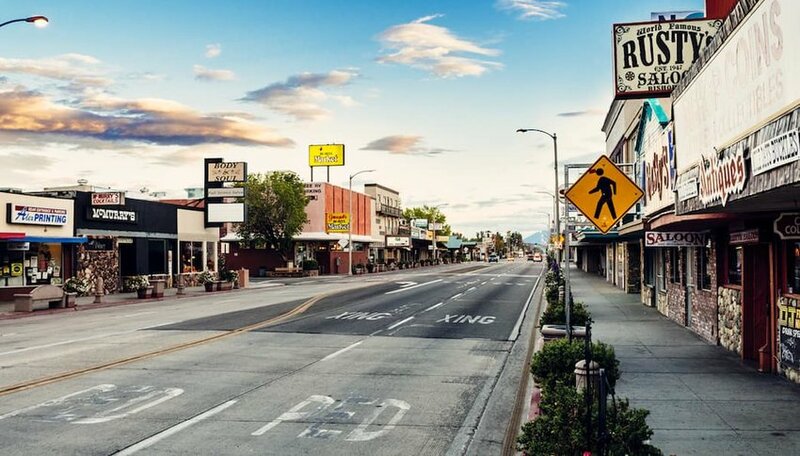 Bishop is perfectly situated between the Sierra Nevada mountains to the east and the White Mountains to the west, and provides just the right amount of small-town charm with exhilarating outdoor recreation opportunities. Rock climbers especially flock to the region for its outdoor opportunities. While Bishop is just four hours from the metropolis cities of Los Angeles, Las Vegas, and Reno, the urban influence is entirely absent. We recommend meandering through the charming town and taking in the dramatic landscape, fishing for trout in the cold, clear creeks and soaking your troubles away in some local hot springs. Experience island time without the crowds in the temperate climate of the San Juan Islands, just off the coast of mainland Washington. There are 172 named islands in the San Juans, but the largest and most populated include San Juan Island, Orcas Island and Lopez Island. 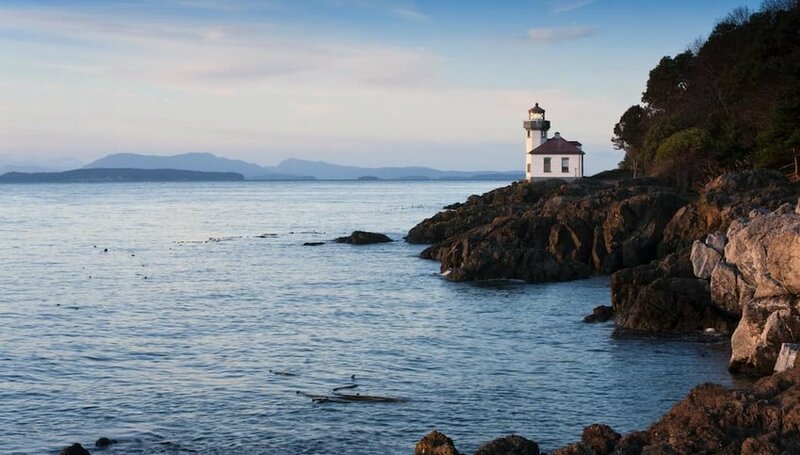 On Lopez Island, you’ll discover 63 miles of gorgeous shoreline, along with a thoroughly rural community. San Juan Island is known for bustling Friday Harbor, with a fabulous downtown and boutique shopping. Orcas Island has been called the Emerald Isle and will enchant you with beautiful parks, lakes and hiking trails. Washington State Ferry Service connects the three major islands, so there’s no need to choose just one when you plan your visit. 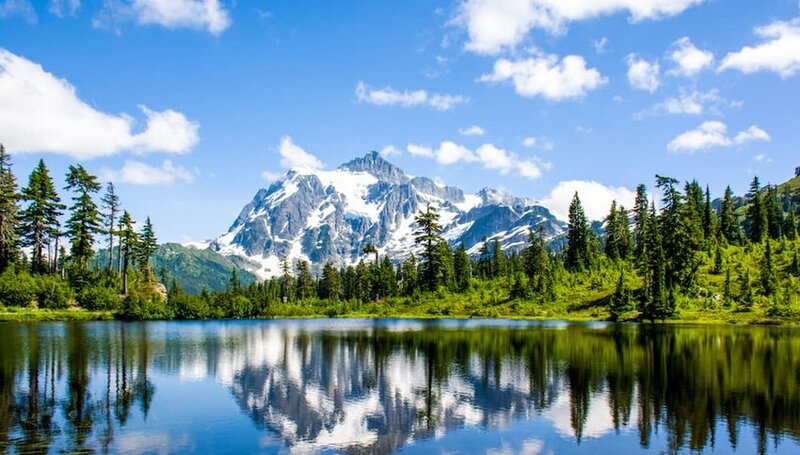 Another Washington gem, North Cascades National Park is totally free to visit and includes rugged, alpine hiking trails, vast turquoise lakes, cascading waterfalls and more than 300 glaciers. Located less than three hours from urban Seattle, it’s hard to believe that North Cascades is one of the least-visited national parks in the United States. We recommend creating your home base at a waterfront campsite at Colonial Creek Campground and exploring the vast array of hiking trails the park has to offer. If you fancy a road trip, be sure to check out the Cascade Loop, which meanders from the coast through the mountains on some of the country’s most scenic highways. Looking for a different type of beach vacation? 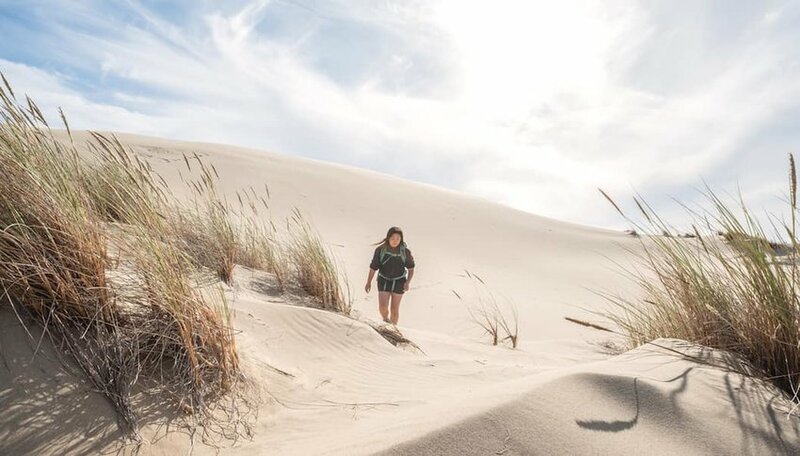 Head to one of the largest stretches of coastal sand dunes in the world at Oregon Dunes National Recreation Area. Stretching 40 miles along the Oregon Coast, from Florence to Coos Bay, the Oregon Dunes are the perfect spot for adventure and solitude. Many of the trails in this 31,000-acre wilderness are suitable for off-road vehicles, horses, and mountain bikes. Sandboards are available to rent throughout the area, and you’ll also find long stretches of deserted beach, expansive wetlands for paddling and bird watching, and forests shrouded in mist. Pitch your tent at one of the many campsites along the dunes, or find cozier lodging in nearby Florence. Perfectly situated halfway between Los Angeles and San Francisco is a classic beach town with a whole lot of charm. Pismo Beach has it all — cotton-candy skies, boutique shopping, an award-winning boardwalk, and of course, long stretches of gorgeous coastline. Spend your days on the golf course, on horseback, or relaxing on the beach, and your nights sipping artisanal wine and dining on local seafood at one of the many waterfront restaurants. Be sure to check out the Pismo Beach Monarch Butterfly Grove, where thousands of butterflies come to spend the winter. 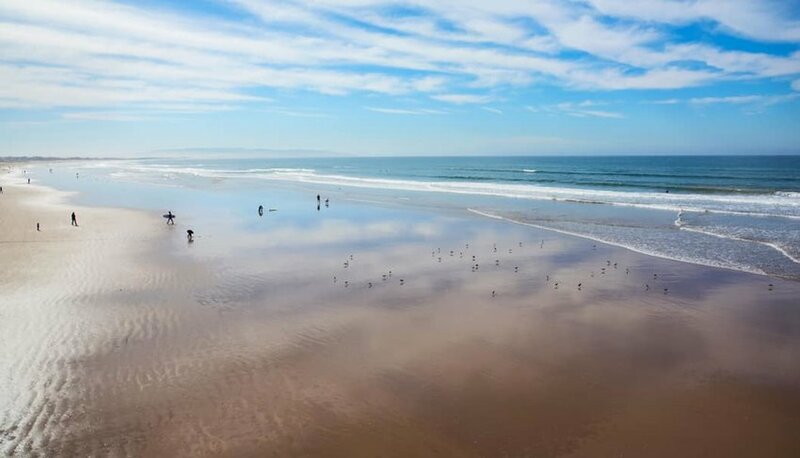 Whether you want to take it slow or embark on a wild adventure, Pismo Beach may become your favorite West Coast destination. Tara is a freelance writer and photographer with a passion for outdoor adventures. She currently blogs at Back Road Ramblers, where she shares travel tips, adventure destinations, and family vacation ideas for the wanderer in everyone. Her goal is to help people connect with the world and each other by encouraging them to embark on journeys big and small. Great post! This is an awesome list of 5 trips to do and we’ll have to check them out. Which one is your favorite? NORTH CASCADES NATIONAL PARK, WASHINGTON Mountains and a lake, sounds good. I live in Florida so, the beach is not as important now. I am glad you liked the post.